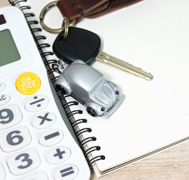 Why are most bad credit car loans so bad? It usually comes down to desperation. If you have fewer options, you may settle for second (or third) best. This usually equates to you being taken advantage of. How? Some dealers that offer the financing will try to leave the car in their name – this can create major issues down the road if you ever try to sell or trade the vehicle in. It can also cause problems with regard to future funding as the loan is not straightforward. Some choose to levy huge balloon payments at the end of the loan to make monthly payments seem smaller. Others will draw your payments out over 7, 8, even 9 years to lower monthly payments because rates are sky high. While these ‘deals’ may look good on paper, you end up paying far more in the long run and sitting with a car that just isn’t worth what you’ve paid for it. Bad credit car loans also prove problematic for other reasons. If you have a ton of private financing on your credit report, this won’t help your credit as it shows that you are largely unable to obtain funding from conventional financial institutions (i.e. the bank). Since the only way to rebuild credit is with positive credit behaviour, you need to find a loan that looks good on the books. Not all dealers are created equal, and as you can see not all are out to treat you fairly. At Prudent Financial, we understand that having bad credit can make getting a car loan difficult. We also understand that you shouldn’t have to pay an arm and a leg only to have a car that runs as well as Uncle Joe’s 50-year-old Jalopy. Want to learn more? Call us today at 1-888-852-7647.